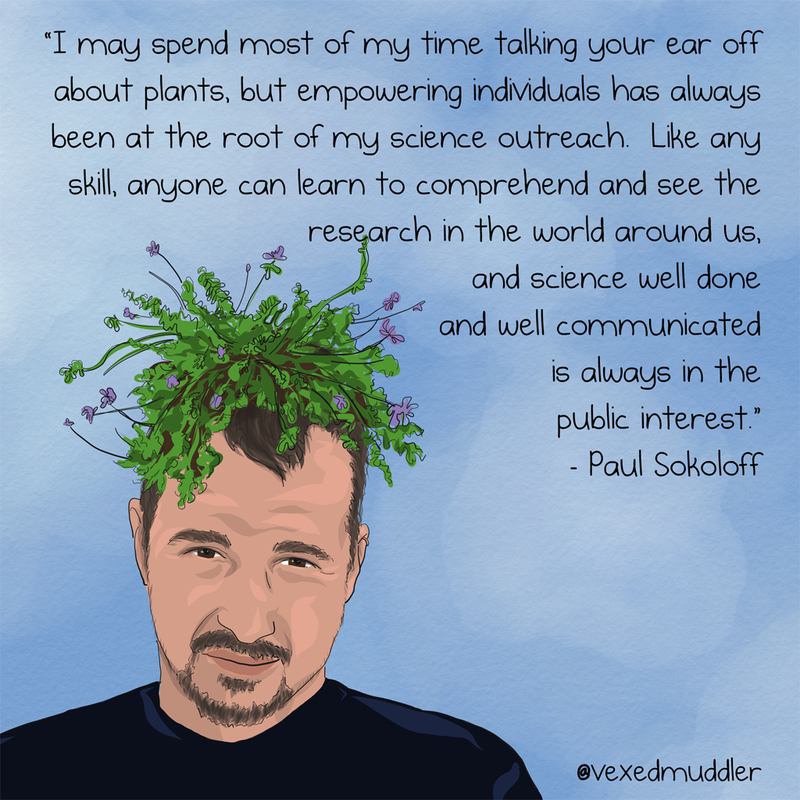 “I may spend most of my time talking your ear off about plants, but empowering individuals has always been at the root of my science outreach. Like any skill, anyone can learn to comprehend and see the research in the world around us, and science well done and well communicated is always in the public interest” – Paul Sokoloff, science blogger and researcher with the Canadian Museum of Nature. Originally posted on October 1, 2016.